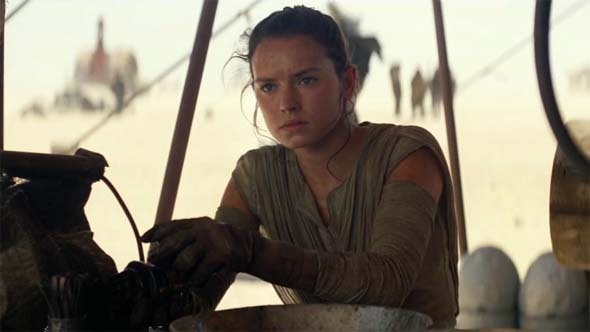 Rey and the subjectivity of "Mary Sue"
I'm about to do something that has become a rather unpopular thing on the internet -- especially among liberal and progressive-minded people such as myself. I'm about to explain why I consider Rey to have been a "Mary Sue" in Star Wars: the Force Awakens. I'm not doing this because I want to hate on the movies for the sake of hating them. I'm also not trying to hate on Daisy Ridley, and Daisy, if you read this, I want you to know that I think you did a fantastic job with the material that was given to you. I'm being critical because I want the movies to be better than they are. I have very high standards and expectations when it comes to Star Wars, and I feel that Disney's efforts so far have been sub-par. So much so that I often find myself using phrases like ... sigh ... "to the prequels' credit". I hate having to say that. It makes my skin crawl every time. I'm at a point, however, in which I find myself pointing out merits in the prequels as a point of contrast against flaws that I perceive in Disney's Star Wars films, as if one set isn't better or worse than the other; but rather, that they are just ... different. I don't hate Rey. I am critical because I want these characters to be better. So even though this is kind of old news that's been beaten to death for over two years, let's talk about Rey for a moment. And regardless of which side of this issue you fall on, I hope that you read the following with an open mind. And if you disagree, then that's fine. I'm not going to fight you over it. A fictional character (often appearing in fan fiction) who is primarily a vehicle for wish-fullfillment (usually being a self-insert stand-in for the author), and who is unjustifiably-competent in multiple fields -- if not everything. Typically, these characters are good at everything they do. They get along with other established characters exceedingly well (sometimes even being romantically pursued by one or more of the canonical characters). They have few (if any) flaws. They are an idealized character who is essentially a "perfect" character within the fiction. They are also -- pretty much by definition -- characters who are added to a fictional setting long after its initial establishment. from Star Trek fan fiction. 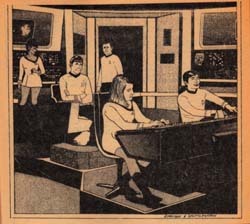 The term originated in Star Trek fan fiction, having been coined in 1973 after the publication of a parody story "A Trekkie's Tale" in the fan magazine Menagerie. This particular story (written by Paula Smith) was about a 15-year-old female character named Mary Sue, and it satirized the unrealistic nature of many characters in other fan fiction stories. Lieutenant Sue was the youngest Lieutenant in Starfleet and was an expert in virtually everything she did. She was "the best and the brightest" of Starfleet. First off, I want to get one thing straight: whether or not a character is a "Mary Sue" is a subjective opinion. Whether or not any individual reader or viewer considers a given character as a "Mary Sue" is going to depend greatly upon where that individual draws the line between "justifiably-competent" and "unjustifiably-competent". That line will vary from person to person, and from fictional universe to fictional universe. I draw that line at a much different place for Star Wars than I do for Star Trek. In addition, this line is not always a hard or clear-cut line. It might be very fuzzy. The fuzziness of the line will also vary from person-to-person and from fictional-universe-to-fictional-universe. It's all on a continuum. Even within a single fictional universe, one character may be " more Mary Sue-ish" than another character. Identifying a character as a Mary Sue also does not necessarily mean that the work of fiction (or even the character) is inherently bad. 'Silent Hill' is NOT about 'repressed guilt'; it's about occultism! I was going through the comments on my posts a while back, and I came across a doozy of a comment by user Maiden T. I'm not going to replicate the entire post here, but you can review the comment at the link provided. In summary, the commenter asserts that Silent Hill, as a series, was never about occultism, and that all the games were "repressed-memory morality tales". The first Silent Hill and "to an extent the third one" are the exceptions (according to Maiden T). My mind just about exploded when I read this comment, and I started typing up a response, only to realize that I had written a whole blog's worth of counter argument. So, I decided to just turn it into a new blog. 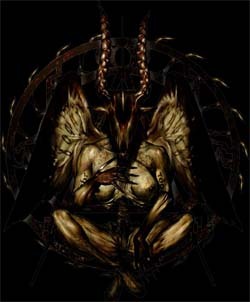 I'll continue my series of analysis and interpretation articles about Silent Hill with a write-up about how the series is most definitely about occultism. What is Silent Hill about? I've already tackled two topics that I consider to be common myths about Silent Hill. The first was about the over-sexualization of Pyramid Head, and the second was about the realness of the Otherworld. Now I'll address one of the most fundamental misunderstandings about the series: what is it about? "[My favorite SH game is] Silent Hill 2. I didn’t really care for all the heavy occult based storyline in SH1 and 3. I felt SH2 had the best stand alone storyline, and provided the best atmosphere of all the SH games by far. I find all the in’s and out’s of ‘The Order’ to be overly intricate and rather uninteresting, but that’s just my opinion." - Devin Shatsky (producer, Shattered Memories, Downpour), in an interview with Hell's Descent (Nov 5, 2010). This review was originally published 06/21/2010 on Game Observer (now defunct as of 05/13/2014). It has been republished here for archival purposes. Climax perfectly poorly mixes the premise of the first Silent Hill with the psychological story-telling of Silent Hill 2 while laying the foundation for new "Horror" gameplay mechanics. I’m a long-time fan of Silent Hill. I started with Silent Hill 2, which is my favorite game to date, and eventually made my way through the first game all the way up to the PSP’s Origins and last year’s craptacular Homecoming. I was very bothered to hear that Konami had disbanded the team that had worked on the first four games after the mixed critical and fan reception of The Room, and gave the development to a new team. Developers Double Helix and Foundation 9 completely dropped the ball with Homecoming, but Climax did a passable job with the story of Origins (even though the gameplay mechanics weren’t all that great) and Climax did a horrible job with Origins as well. As you’re probably already aware, Shattered Memories is a re-imagining of the first Silent Hill game. It is NOT a port, nor is it a remake. Harry Mason gets in a car crash in the outer edge of the town of Silent Hill and wakes up to find his seven-year-old daughter, Cheryl, missing. He’ll proceed to explore the town of Silent Hill to find her, and along the way, meet several interesting annoying characters including a police officer named Cybil Bennett. But the similarities end there. I didn’t have high hopes for Silent Hill Downpour. As such, I didn’t buy it new. I waited two weeks, bought it used off ebay, and finished it over a weekend. Sadly, pretty much all of my pre-release expectations turned out to be true. Upon booting up the game, I was immediately given mixed opinions about the game. There was a mandatory install, which fortunately only took a few minutes, but which is always an annoying thing to sit through (except for Metal Gear Solid 4, which managed to make it somewhat amusing). After the install though, I was treated to a stylish title screen with new composer Daniel Licht’s enjoyable title track. Then the game starts, and the very first thing you do as the new main character, prison inmate Murphy Pendleton, is murder a defenseless fellow inmate during a combat tutorial that takes place in the prison showers. Murphy clearly has some beef with this fellow inmate (named Napier), and it seems like Napier probably deserved it, but murdering a defenseless person in cold blood is hardly what I’d expect from a Silent Hill game. Spoilers for Downpour and other Silent Hill games.